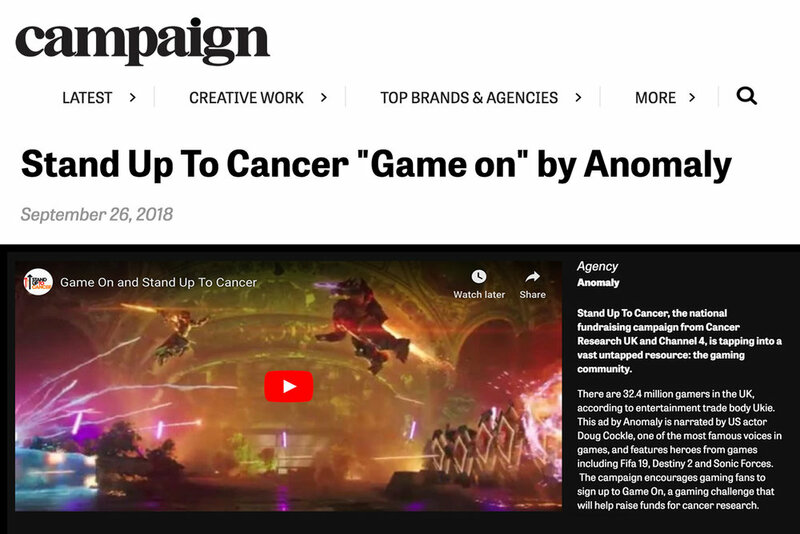 Stand Up to Cancer is an annual fundraising event aired on Channel 4 by Cancer Research UK. 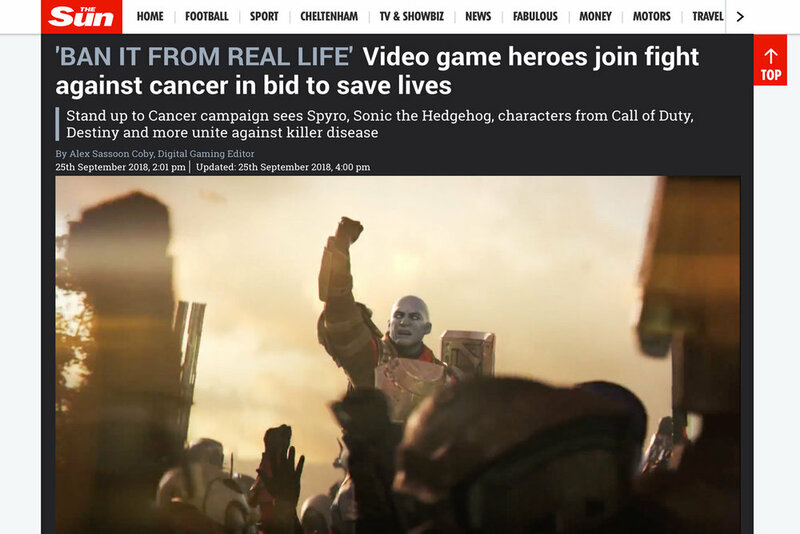 In 2018, we inspired gamers to unite against their most deadly common enemy and take on gaming fundraising challenges. With no budget, we made a launch film that brought together dozens of iconic characters to issue an an epic rallying cry: IT’S PAYBACK TIME. 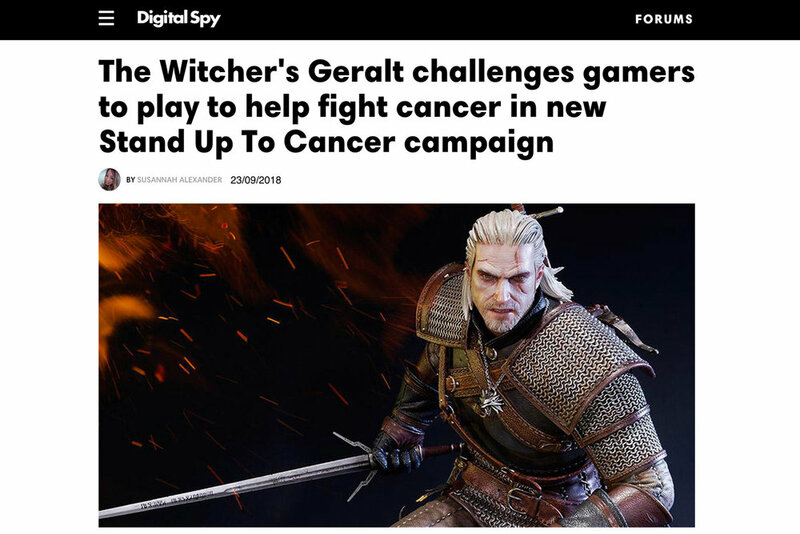 The film is narrated by Doug Cockle of The Witcher, one of the most famous voices in the gaming world.